Pasta is an ideal partner for healthy foods and ingredients such as vegetables, beans, and herbs (whole or in sauce form) and extra virgin olive oil. Pasta’s versatility allows for almost endless preparations. Today’s healthy pasta meals have roots that stretch back to ancient times. Thousands of years ago, people ground wheat, mixed it with water to make a wheat paste, dried it, and then boiled it to go with meals. Today’s consumers welcome pasta to their tables for its versatility and convenience, just as nutrition scientists recognize pasta meals for their place in healthy eating patterns, such as the “gold standard” Mediterranean Diet and the traditional Latin American diet. In the early 2000s, during the no-carb, low-carb diet craze that swept through this country, pasta was added to a laundry list of other foods to avoid. It was suggested that carbohydrates, such as bread, potatoes, rice, and even fruit should be eliminated in order to lose or maintain weight. Like other fad diets that preach an all-or-nothing tactic with speciﬁc foods, “no-carb” didn’t work. Read on to learn why pasta has a very healthy, very delicious, and very easy place in a healthy diet. What Makes a Healthy Pasta Meal? A healthy pasta meal is truly the sum of its parts, and features two key factors: what you pair with your pasta, and how much pasta you eat in a meal. Pasta is an ideal partner for healthy foods and ingredients such as vegetables, beans, and herbs (whole or in sauce form) and extra virgin olive oil. Nuts, ﬁsh, and small amounts of meat or cheese can also be added for extra ﬂavor and protein. Pasta’s versatility allows for almost endless preparations. Healthy pasta meals are a balance of pleasure and health! This Oldways one-hour on-demand webinar, PASTA: A UNIQUE GRAIN FOOD, explains how pasta’s compact structure helps it release its energy slowly and steadily. Learn more about healthy carbohydrates, traditional diets like the Mediterranean Diet, and pasta’s role in reducing obesity. Eligible for CPE credits. Also available with Spanish subtitles. At the World Congress on Pasta, held in Rome on the 25th day of October in 1995, pasta makers from around the world enthusiastically agreed that pasta—a healthy, delicious, popular, familiar and convenient food—deserved annual worldwide recognition. Every year since, in countries around the globe, World Pasta Day has been celebrated on October 25th. This celebration of World Pasta Day draws increasing attention to the merits and beneﬁts of pasta—its great taste, its healthfulness and its simple convenience—for people everywhere. Join families, chefs and restaurants around the world every year on October 25th and celebrate World Pasta Day by trying a new recipe or two, or an old family-favorite, with your friends and family. And don’t forget that the magical merits of pasta—taste, health and convenience—are worthy of celebration all year long! 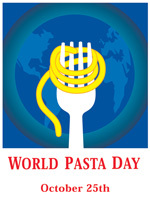 For more information on World Pasta Day, on pasta and pasta meals, visit the International Pasta Organization. The Truth About Pasta is the monthly newsletter from Oldways and the International Pasta Organization. Each month’s newsletter features a new and diﬀerent topic—all pointing to The Truth About Pasta. The truth is…pasta is healthy, sustainable, convenient, delicious, aﬀordable, doesn’t make you fat, and much, much more. Be sure to look for each new issue, with more topics and information. The newsletter is also in Spanish and Italian. A new feature for the newletter is Ted-Ed videos every other month. Twenty scientists and health professionals from nine countries met in Milan, Italy in October 2015 to present the latest research on pasta and to craft a 12-point Scientiﬁc Consensus Statement on healthy pasta meals. 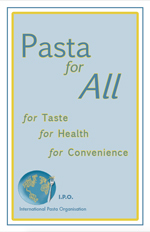 Read the 2015 Healthy Pasta Meals Scientiﬁc Consensus Statement and Signatories here. Working with the International Pasta Organization and its Scientiﬁc Advisory Board, Oldways created Pasta For All, a guide illustrating why pasta is the perfect food for families: it’s delicious, is healthy, and is easy to make. The guide also explains, in everyday language, how nutrition science supports pasta’s health beneﬁts. 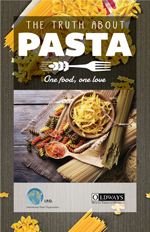 The ﬁrst edition of Pasta for All was developed in 2007, and was updated and reintroduced in Rome at World Pasta Day on October 25, 2011. The latest book on pasta, The Truth About Pasta, was published in 2016. 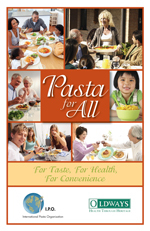 The 2011 Pasta for All booklet is available in four languages. 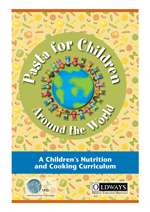 On October 25th, 2008, at World Pasta Day in Istanbul, Turkey, Oldways and the International Pasta Organization released Pasta for Children Around the World, a nutrition and cooking curriculum designed to awaken children’s excitement and interest in food, pasta, and cooking pasta dishes from around the world. Its four lessons teach children about healthy eating and simple cooking, including healthy pasta meals from countries around the world. The lessons are organized by region and country, and can be completed one at a time, or several countries at a time. Anyone—parents, teachers, community leaders, health professionals, food retailers or others interested in children, food, cooking and health—can teach Pasta for Children Around the World. or visit the International Pasta Organization’s website. 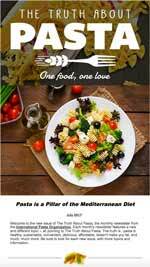 Pasta encourages increased vegetable consumption, and is an aﬀordable, delicious part of a healthy Mediterranean Diet. 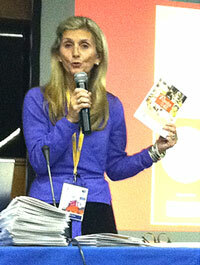 That’s the message Oldways delivered in October 2011 in Madrid, Spain, at the Federation of European Nutrition Societies (FENS) conference, an event attended by 2000 doctors, dietitians and researchers from around the world. Marta Garaulet Aza, PhD, Dr.PH, Professor of Physiology and Nutrition, University of Murcia (Spain), speaking on “Weight Loss and Maintenance – It’s Calories, Not Pasta or Carbs.” Dr. Garaulet, who recently received Europe’s top award for her weight management programs, recounted the role that the Med Diet, including pasta, plays in changing lifelong eating habits for the healthier. Nuno Borges, PhD, Professor of Pharmacology and Nutrition, University of Porto and University of Minho (Portugal), speaking on “Increased Vegetable Consumption, Aﬀordability, and Cultural Traditions: More Positive Public Health Beneﬁts for Pasta.” Dr. Borges shared recent research on the associations between pasta consumption and other healthy outcomes. The panelists pointed out that while pasta is sometimes seen as solely “Italian” and its nutritional beneﬁts have been questioned by low-carb advocates, in fact pasta is a powerhouse in its worldwide contributions to nutrition. It’s a part of cultural traditions worldwide, going way beyond Italian spaghetti to Japanese soba, Pad Thai, Mexican ﬁdeo soups, and other favorite dishes from every continent. 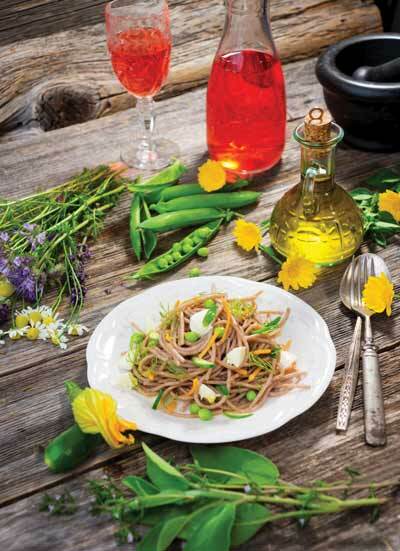 With a much lower glycemic index than other grain-based foods, pasta starts oﬀ healthy, then becomes even more so as the addition of vegetables, legumes, healthy oils, ﬁsh and other foods transform into a complete and balanced healthy pasta meal. Plus, in trying economic times like these, pasta’s aﬀordability makes it a regular feature at tables everywhere. Oldways Director of Food and Nutrition Strategies Cynthia Harriman wrapped up the panel with a lively Roundtable Discussion, complete with questions from the audience.